Fitbit may not have been very wise to put off the release of its first full-fledged smartwatch after years of focusing entirely on lower-cost activity trackers, but ultimately, the Ionic and especially the Versa appear to have caught on. The company’s sophomore effort in a market completely dominated by Apple is highlighted as one of the key driving forces behind unexpectedly strong quarterly results, although Fitbit is still not what we’d call a money making machine. Technically, Q3 2018 marks a “return to profitability” for the wearable industry veteran, but we’re merely talking $10 million non-GAAP financial gains, adjusted to a $2.1 million loss under Generally Accepted Accounting Principles. Of course, those two numbers are a heck of a lot better than the $2.8 million non-GAAP and $113.4 million (!!!) GAAP net losses reported for the three months ended September 30, 2017. Interestingly, Fitbit’s recovery came at a time of stagnating sales, with only 3.5 million wearable devices shipped between July and September 2018, down slightly from 3.6 million units during the same timeframe back in 2017. 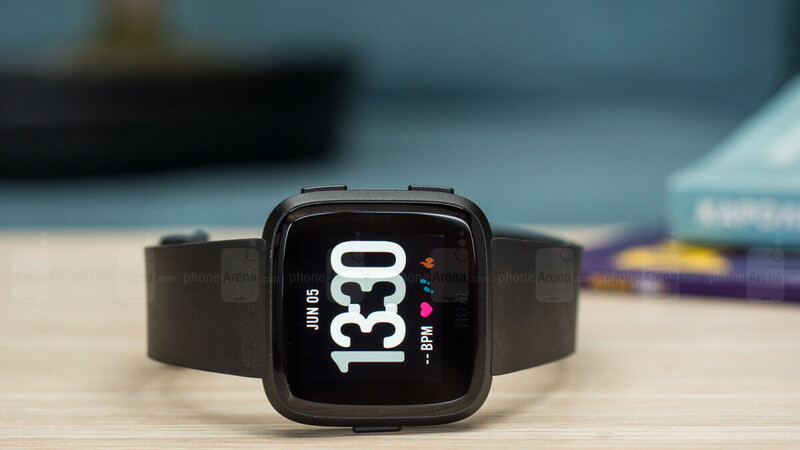 Naturally, what you’re selling can sometimes be more important than how much you’re selling, and Fitbit is slowly becoming a force to be reckoned with in the more profitable smartwatch space. The Versa apparently outsold “competitive offerings from each of Garmin, Samsung, and Fossil in the US” this Q3, helping Fitbit rank second overall in the nation’s smartwatch category, which the company only entered 14 months ago. That was certainly no easy feat, also boosting the average selling price of Fitbits considerably to $108 per device thanks to the “growing mix of smartwatches.” Fitbit still made more money from trackers, but smartwatches generated a healthy 49 percent of the $393.6 million quarterly revenue total, up from a measly 10 percent slice of the pie a year ago.